Congratulations to Robbie Davies & Lewis Gough for completing their advanced OTDR fibre optic testing and measurement course. Our guys spent 3 days over the border working with advanced OTDR Optical Time Domain Reflectometer test equipment. 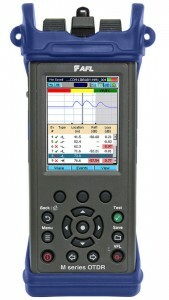 This tool is used to check fibre optic cable for faults and to measure link length and loss. Few network installation companies have both equipment and trained engineers, to carry out this thorough kind of fault finding. This type of testing is increasingly being specified for large tenders and construction projects. 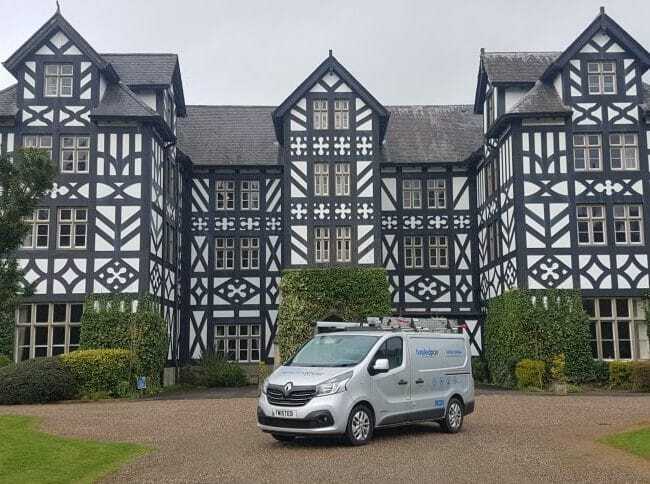 We are pleased to be setting the standard for fibre optic cabling both locally and nationally. An optical time-domain reflectometer (OTDR) is an optoelectronic instrument used to characterise an optical fibre. It injects a series of optical pulses into the fibre under test and extracts, from the same end of the fibre, light that is scattered (Rayleigh backscatter) or reflected back from points along the fibre. The scattered or reflected light that is gathered back is used to characterise the optical fibre. The strength of the return pulses is measured and integrated as a function of time, and plotted as a function of fibre length. To the left you can see a an example OTDR trace. This shows how connectors and splices can be measured and checked from the results. 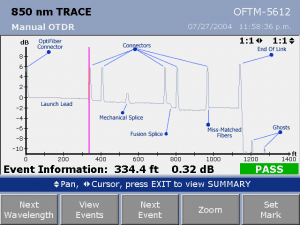 OTDR traces can show exactly where cable connectors, splices and other losses occur along the full length of the test fibre. This is particularly important if a fibre is not accessible. For example buried underground and you need to know where to dig to fix it. From the trace you can also see the overall link loss of 0.32dB and the length of 334.4 ft. The rest of the trace shows the loss of each component in the link. 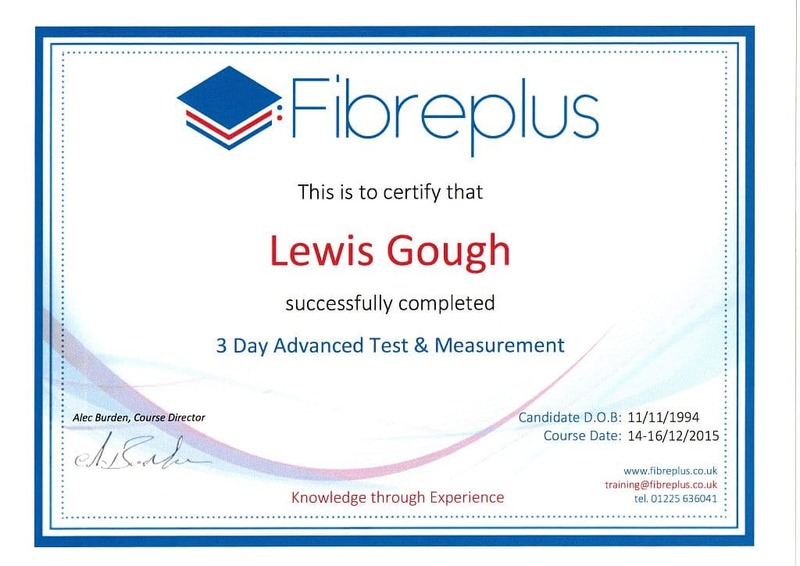 Every member of our installation team is now fully qualified to test and certify all types of fibre optic installation. Demonstrating our commitment to ongoing training and development of every member to the Twisted Pair team. If you want to know more about our fibre optic or other services please contact us on 02920 099966.